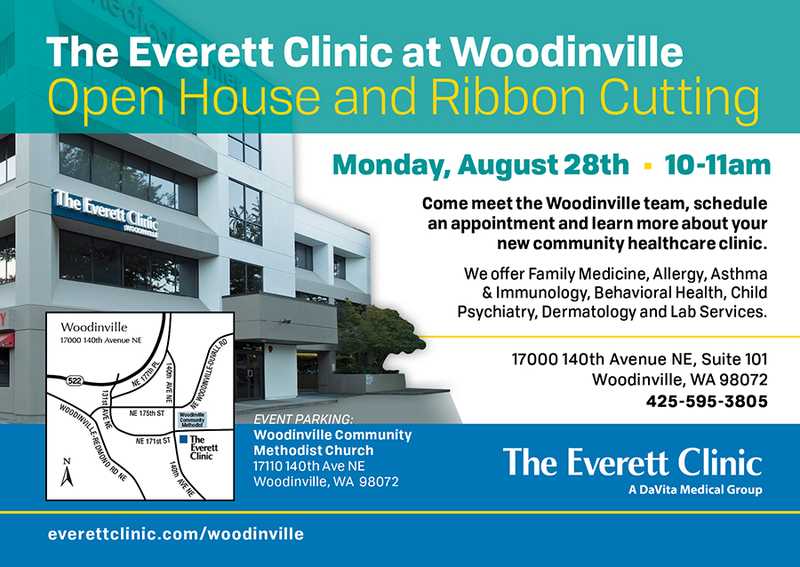 Please join us in welcoming The Everett Clinic to Woodinville! Come meet the team and learn more about your new community healthcare clinic. Celebrate with Deputy Mayor James Evans and the Woodinville Chamber at the Open House and Ribbon Cutting on Monday August 28th from 10:00 am – 11:00 am. Save the date on your calendar. The event is complimentary.